Well how ‘bout this weather we’re having?? It’s phenomenal! It’s glorious! It’s exactly what we like to see here in Fernie, BC! Blue skies, sunshine and warm temps…just what the doctor ordered! I’ve even taken the roof off of my Jeep already….twice! Fifty shades of green are donning the branches of all the trees, the hummingbirds are back and the golf course is open – and that’s only the beginning. The bike trails are in stellar condition, the hiking trails are ready for you to climb to new heights and the local lakes in the Elk Valley are currently a fisherman’s dream! The ospreys are soaring above the Elk River delighted they have first pick as the fishing season for the 2–legged fisherman doesn’t open until mid-June. Fernie really is an all-around amazing little gem hidden away in the southern BC East Kootenays, surrounded by the magnificent Rocky Mountains….specifically Mt Fernie, Mt Proctor, Mt Hosmer and of course the Three Sisters. I’ve hiked all of these peaks except the Three Sisters and I feel like I need to do that with my two sisters Sue and Sandra…wouldn’t that be fitting? I have hiked along the back side of these three stone ladies on Mountain Lakes Trail, originally known as Heiko’s Trail which, if you haven’t hiked it, is a must and should be on your bucket list! Just remember to hike in numbers, make lots of noise and always carry bear spray….safety first, right? Why not start to plan your summer getaway right now! Seriously! Call me! I can put together an accommodation package that will have you wanting to come back again…and again…and again! Whether it’s a romantic weekend away, a family reunion or a corporate retreat, I specialize in putting a smile on your face and a song in your heart…okay well at least I can find you the perfect place to stay. Why wouldn’t you want to be nestled in the forest at the base of Fernie Alpine Resort….only a hop, skip and a jump away from the Aerial Park and Zip Line not to mention the lift assisted mountain biking and sightseeing chairlift rides which all open on June 27. We have condos, townhomes, rustic log cabins and executive homes…surely one of these strikes your fancy? We also have 2 executive homes located in Fernie town itself should you want to be closer to all the shopping, the restaurants and the nightlife. I have some great summer specials and long stay specials so don’t delay, call me now! 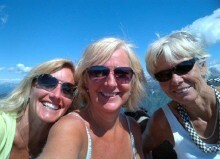 We are celebrating in Fernie!! The Griz is bestowing upon us snowfall after snowfall of the lightest, fluffiest powder we’ve seen all season! The grins around town, around the office and most certainly on the chairlifts are truly a sight to behold! Jubilant skiers and snowboarders make for a happy little ski town – high 5’s and fist pumps galore! We’ve received over 669cms (over 21ft) of the white stuff year to date and are expected to receive anywhere from 24 to 42cms over the next 3 days! Oh….did I mention it is my birthday on Friday March 7th? I’m thinking that a day of rippin’ it up on my favourite mountain with good friends and family will be the best birthday present ever!! I’ll be grinning like the Cheshire Cat in Wonderland…just call me Alice! 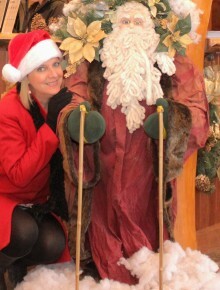 Speaking of Wonderland, isn’t it high time you came for a visit to our Winter Wonderland? We have so many specials I don’t even know where to begin! Have you got some free time during the week? Why not plan on arriving on a Sunday for 3 or more nights and we’ll give you your 3rd night absolutely FREE!! Oh…not good enough for you? Well how ‘bout this one? Spring Break Savings… for a minimum of 5 nights you’ll be given your 4th and 5th night FREE and 10% off your lift tickets! You want more? Okay, here we go….come join us for the Kokanee RETRO Weekend Mar 22 – 24…even on a 2 night stay and 2 days of skiing we’ll give you 10% off your lodging and 10% off your lift tickets! Aha! I see you’re smiling now and checking your calendar…that’s what I’m talking about! Private hot tubs, vacation homes, cozy cabins, townhomes, chalets and condo suites all with access to heated outdoor pools. Whether you want ski in/ski out at Snow Creek Lodge or you choose to hop on our complimentary shuttle from Timberline Lodges right to the lifts, we can make your vacation in Fernie simply the best! Call now!! I’m back in the office after my snow angel shenanigans and am ready to put a smile on your face by helping you plan your ‘ski trip of a lifetime’! 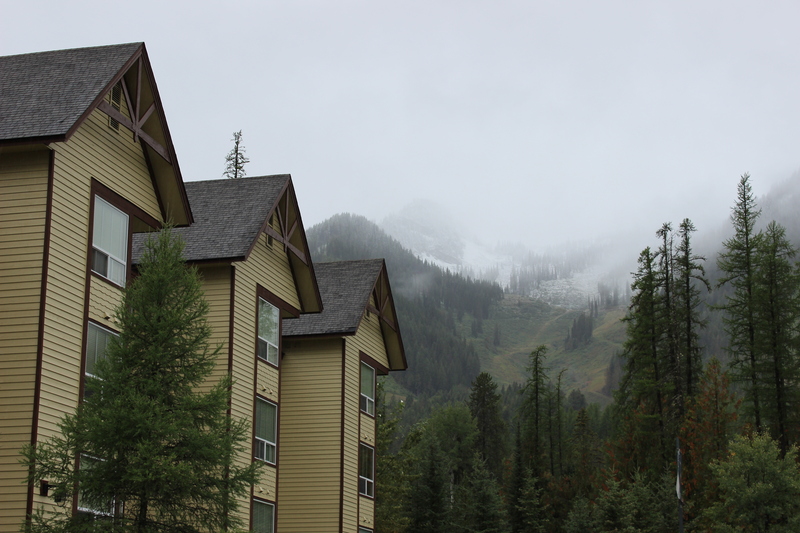 Fernie….where the snow is never-ending! Oh and if you call and you get my voicemail, I’m merely doing some product evaluation on Easter Bowl or Snake Ridge…you know…to make sure everything is ready for you upon arrival. See you soon! https://www.fernielodgingco.com/wp-content/uploads/2013/04/logo_white.png 0 0 Vacation Login https://www.fernielodgingco.com/wp-content/uploads/2013/04/logo_white.png Vacation Login2014-03-03 21:59:372014-11-10 14:07:16Powder Alert! Powder Alert! Fernie, BC! Well Happy New Year to everyone! I realize that I should have written my first-of-the-year post much sooner, but I’ve been suffering from a bit of a writer’s block! I know, I know…me? Speechless? Nothing to say? Sadly it’s true. I think there was a time, back in the day, my family rejoiced when I was speechless; in fact my teachers in school would high five each other in the hallway! Well my friends, you don’t get off that easy, for I have found my ‘writer’s flood’. You are going to enjoy the strange alchemic result of my rekindled creative genius! Let’s talk about your New Year’s resolutions…what’s that now? You’ve already broken them all? You haven’t started them yet? You didn’t make any this year? Well, that is why I’m here…help is on the way! Best New Year’s resolution ever? VISIT FERNIE! Why should you? Well I’m going to tell you so sit back and enjoy the read! In a winter wonderland such as Fernie, there is never a dull moment. Whether you downhill ski or snowboard, Nordic ski, snowshoe…perhaps your passion is back country touring or sledding…you’ve come to the right place! With magnificent scenery and legendary snow this really is a little piece of heaven waiting just for you! 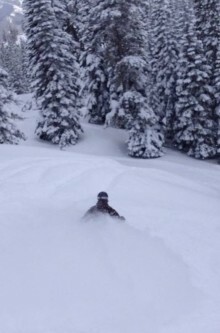 Now I’ve talked a lot about the snow here in Fernie….whether it’s downhill skiing or snowboarding at Fernie Alpine Resort, catskiing or boarding at Island Lake Lodge or Fernie Wilderness Adventures…it’s all epic! So let’s look a little more into cross country skiing, showshoeing and back country touring. Fernie’s cross country trail system has expanded over the last few years into over 50kms of picturesque, well maintained groomed trails thanks to Fernie Alpine Resort, Island Lake and the Fernie Nordic Society. They range from easy to more difficult so whether it’s a fun family outing or a full-on fitness workout you’re looking for, Fernie offers it all! There are about 12 km of groomed tracks available on the Fernie Golf Course. There is little change of elevation on these trails so it is optimal for beginner skiers. The start of the trails is at the Clubhouse of the golf course where you will find ample free parking. The trails are jointly groomed by the Golf Course and by the Nordic Society volunteers on a regular basis. These trails or not dog-friendly. Fernie Alpine Resort grooms two loops….the larger is about 9 kms long but has a bypass at the halfway point. It’s an easy trail but the section from the parking lot to reach the trail head is steep and a little challenging so beginners may want to carry their skis for that part of the trail. These trails are dog-friendly but they must be on a leash. Approximately 25kms of winter wilderness trails await you should you decide to ski to Island Lake Lodge. Once at the lodge there are trails to access as well. Please be aware that you may encounter a Snow Cat ferrying guests, a snowmobile or even a moose. Head west from Fernie on Hwy 3 and turn right at the Island Lake sign. Follow this road for 7kms until you reach the Island Lake parking lot. Once again these trails are dog-friendly but they should be kept on a leash. 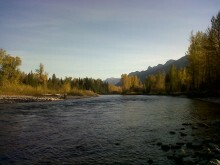 Wind along the Fernie Dyke aside the mighty Elk River for about 6 kms starting from behind Canadian Tire at Maiden Lake. This trail is not groomed regularly and it is used by hikers, snowshoers and cross country skiers. Dogs are welcome! Didn’t have a chance to check out the bike trails this past summer? Well here’s your opportunity! The single track trails, covered in soft blankets of white provide a wonderful winter snowshoe experience! Head to Island Lake for a scenic trek around the lake, book a tour at Fernie Alpine Resort or pack a lunch and head out on your own to Mt Fernie, Mt Hosmer or Mt Proctor. Back country touring in Fernie is phenomenal with unlimited terrain and fresh powder. Completing an avalanche awareness course is highly recommended and of course you should also have the proper gear (peeps, shovel and probe) with knowledge of how to use it prior to heading out to ensure a safe and fun experience. Check in with Fernie’s local experts at any of the ski shops. They can give you up-to-date advice on where to go and help you choose any gear you may be missing. So…how ‘bout sledding? 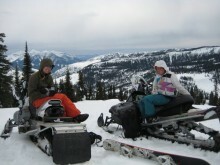 Another big draw to Fernie and the Elk Valley is snowmobiling! The whole area has some incredible terrain ranging from easy, family friendly groomed trails to expert back country adrenalin! Head to the Coal Creek staging area to get started on your larger-than-life adventure! Rentals and guided tours are available whether you want to go for a couple of hours or a full day. Check out Weir Boondocking Backcountry Snowmobile Clinics, Fernie Snowmobile Association, GearHub or Ghostrider Motorsports for more information on tours and rentals. Whew! I’m done! How exhausting! 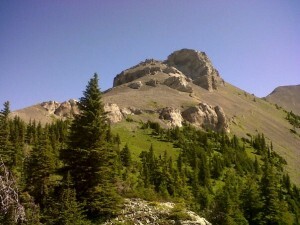 Just look at all the amazing activities there are to try out in Fernie and I’ve only scratched the surface. I haven’t even talked about the plethora of restaurants, bars, pubs and all their nightly events; nor have I mentioned the local artisan world of which there is plenty. Come for a visit to Fernie…make it your renewed New Year’s resolution….you’ll never regret it! We have winter Deals & Packages galore to suit everyone’s needs! Whether you want an executive vacation home, a private chalet, a cozy log cabin or a condo suite, we can help make your resolution come true! So don’t delay – call now! Oh wait…I’m about to take a ski break cuz it is dumping snow…leave a message and I’ll call you when I finish blasting down my two favourite runs – Easter Bowl and Snake Ridge. Woohoo……. https://www.fernielodgingco.com/wp-content/uploads/2013/04/logo_white.png 0 0 Vacation Login https://www.fernielodgingco.com/wp-content/uploads/2013/04/logo_white.png Vacation Login2014-01-21 21:58:032017-04-06 13:33:45Is a ‘Visit to Fernie, BC’ One of Your New Year’s Resolutions? With Thanksgiving under our belts….or over our belts, depending on how much of Birdzilla you consumed, it’s time to start thinking about getting in shape for the winter. Oh I’m sure you did your fair share of walking, running, hiking, biking, golfing, fishing over the summer…but skiing and snowboarding use an entirely different muscle group so you’d best get started! With the golden sunshine and the autumn breeze gently kissing the leaves, turning them stunning shades of crimson, orange and amber there is still so much we can do outside! When you go for your walk or run or even a lovely fall mountain bike ride, stop at a bridge and do push-ups against the railing; find a nice big log to do some tricep dips on; lunges, lunges, lunges; use a tree trunk to lean against and squat for as long as you can. Any time you see a bench or stairs along a trail, do step-ups….the great outdoors is there for you to create your own personal boot camp…show Mother Nature what you’re all about! I had an amazing summer in my beautiful Fernie and I must admit I’m sorry to see it go, but as I sit at my desk and gaze out the window I can’t help but feel the excitement for winter gently creep into my being at the sight of the snow atop Polar Peak! Before you know it, first tracks down Papa Bear, Easter Bowl or Anaconda will be a reality! Currie Bowl will welcome you with open arms! Cedar Bowl and Lizard Bowl will give you that epic blower champagne powder you’ve grown to love. Are you with me? Thought so! I bet I even made you smile! 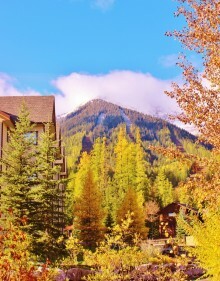 So now is the time to let us create your winter getaway to Fernie! We have some great specials…in fact, why don’t you come for a visit before the ski season starts and “test drive” our accommodations! Come stay with us for 3 nights before Dec 1 and receive a FREE night. Yes, you read that correctly…3rd night FREE!! Whether you choose a resort home, a cozy log cabin nestled in the woods or a condo with private hot tub, you’ll fall in love and likely book your winter vacation before you depart! Speaking of which, if you stay with us 3 nights or more before December 21st or after April 1st, you’ll receive a25% discount on your entire stay! So I’m sitting here in my office, staring out at the top of the mountains dusted with fresh snow, wondering where on earth the summer went! Is it really September 30th? The trees are all starting to take on their fall colours and there is a definite chill in the air….the anticipation of winter is slowly starting to make its way into our heads…only a few months before we don our ski gear and head out for first run of the season! But wait! As much as I love skiing and snow, I’m not quite ready to pack away my bike, my hiking boots or my golf clubs! No sir….I am still going to do as much as I can on our trails and our beautiful golf course which sadly closes Thanksgiving weekend. This year I golfed more than I ever have before…my future with the LPGA still not looking good, but the more I play the more I love the sport. Speaking of Thanksgiving, it is one of my favourite holiday weekends….it’s all about family and turkey dinner. A tradition in our house is to go around the dinner table and each say what we are grateful for. One year, when my son was young, it was his turn…he looked around the table at all of us with big eyes and as I thought, “Oh no….he can’t come up with anything!” be blurted out, “I’m just thankful I’m not the turkey!” Oh my…how we laughed! Although I find it hard to leave my beautiful Fernie, I am heading to Vernon with my sister and brother-in-law to spend the long weekend with my parents which will be lots of fun and full of activities. My parents aren’t your normal late 70 year olds and in fact my sister and I find it a challenge at times to keep up to them! 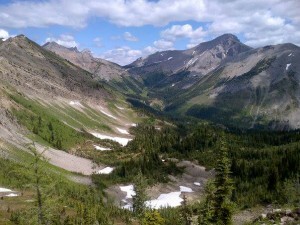 They play in 2 bands, ride their horses in the Monashee Mountains throughout the summer, wrangle their cattle on their property; downhill ski, cross country ski, snowshoe and snowmobile in the winter. They live in the middle of 80 acres, have solar power, their own water system, their own saw mill and they fell trees and buck them up for firewood. We refer to them as The Bush Parents and I’m sure you can see why! If you’re thinking how great it would be to get the whole family together for Thanksgiving….away from the city…a little mini vacation, come to Fernie! We have a great special that weekend…one you really shouldn’t miss out on! How does a 30% discount sound to you? Imagine the whole gang nestled into one of our resort homes, a cozy log cabin or a condo suite with your own private hot tub, fireplace and fully equipped kitchen. Call today and let me help you put together your best Thanksgiving weekend ever! And drive, drive, drive…..to Fernie BC!! Well, I may have changed the words a tad and George Henry Powell likely wouldn’t be impressed, but you get the idea! I can’t tell you the number of people I chat with that have never been to Fernie before, in fact they don’t even have a clue where Fernie is! I find it remarkable and although part of me wants to keep our little piece of heaven a secret, it is also a treat to share it with others and see their eyes light up and their faces broaden into unending smiles when they experience Fernie for the first time. You could never ever get bored coming to Fernie; in fact there are so many events and activities taking place in Fernie I don’t think even I can fit them all in…but I will try and I hope you do too! Float the mighty Elk River either on your own perched atop your own flotation device (never use the ‘ Lowrider’ as per my blog post Aug 23, 2012) or book an exhilarating rafting trip with either Canyon Raft Company or Mountain High Adventures. Not enough of an adrenalin rush for you? Then head to Fernie Alpine Resort and hit the Rippin’ Zipline or the Aerial Adventure Park which is where I am headed this weekend! Challenge yourself on their lift accessed downhill trails ranging in difficulty from green to black…there’s even a few double black diamond trails sporting names such as Kodiak Karnage and Aggravated Assault! Aha! Now I’ve got your attention! So let’s talk fish! That’s right….how ‘bout reeling in one of our monster bull trout…you know, the one that many say, “You shoulda seen the one that got away!”…but you won’t have to say that! You’ll have netted Fishzilla! Hiking in our magnificent mountains is always a highlight whether you venture out on your own or head to Island Lake Lodge for a guided hike up Spineback or Tamarack. Mountain biking the single track trail system throughout the valley can be family fun or daredevil challenging! The friendly and knowledgeable staff at all the local bike shops can easily give you suggestions on which trail to head to depending on your ability…you could even book a guided tour with Fernie Bike Guides. Stop into The Guide’s Hut and have a chat with Mark, Beth and their team….they’ll help make your mountain bike dreams come true! 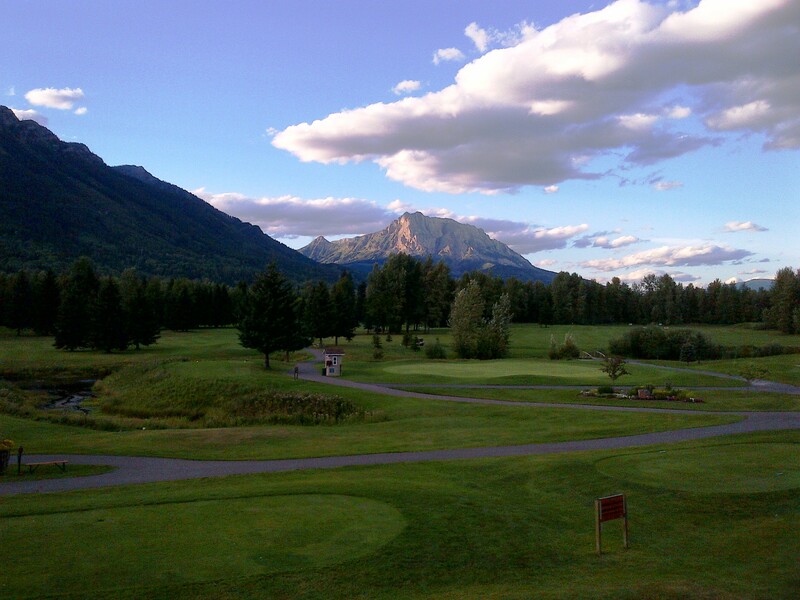 Don’t forget to bring your golf clubs…the course at Fernie Golf and Country Club is in stellar shape and so much fun to play! Then head to the Clubhouse and sit in the sunshine on the best patio in town for some delicious food and icy cold beverages. Why don’t you plan a day as fun as this will surely be? Let me help by booking the perfect vacation property just for you. No matter where you stay, you’ll have access to heated outdoor pools, hot tubs, bbqs and spectacular, breathtaking views. Cozy log cabins, spacious chalets or condo suites…we have it all! Call me now! Check out our Fernie Deals & Packages! https://www.fernielodgingco.com/wp-content/uploads/2013/04/logo_white.png 0 0 Vacation Login https://www.fernielodgingco.com/wp-content/uploads/2013/04/logo_white.png Vacation Login2013-08-22 21:48:142017-04-06 13:30:22Are You Kidding Me? Never Been to Fernie?